Piper Aircraft has strengthened its commitment to the diesel-powered light aircraft fleet by bringing the diesel Archer DX program in-house, starting with 2019 models. 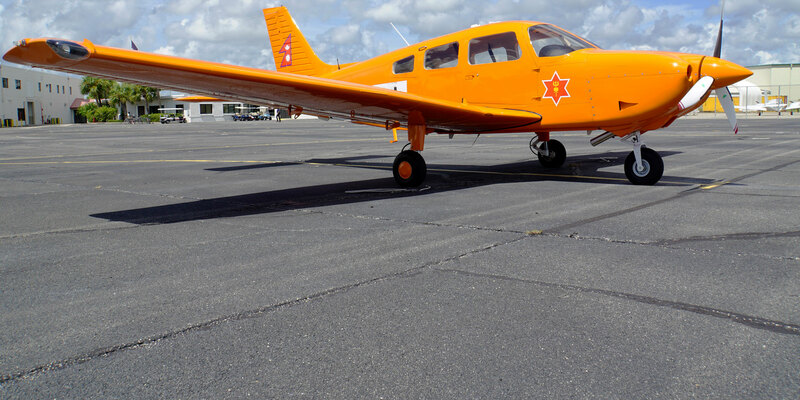 Since the Continental CD-155 diesel engine was approved for installation in the Archer under an FAA supplemental type certificate (STC), Piper has been building diesel Archers as standard TX models that were then modified with the diesel-engine STC. Orders for the diesel Archer haven’t exactly soared, with 10 deliveries since 2015, but Piper officials believe that market will climb. “We’ve been marketing the DX as its own product,” said Ron Gunnarson, Piper v-p of sales, marketing, and customer support, “and as a result, we’ve started to see [growing] interest.” DX sales were averaging two per year, but that jumped to six in 2019. “We have a couple of large proposals for fleet purchases for the DX, and I believe these will come to fruition,” he said. An interesting facet of the market for diesel-powered trainers is that most flight academies are focusing on teaching future airline pilots. Diesel training airplanes’ single-lever power controls are far more similar to the power levers on jet airplanes than are the throttle-propeller-mixture controls on avgas-powered airplanes. Transitioning a pilot from a single-lever diesel-powered airplane to a jet should be far easier. There are other advantages to diesel-powered airplanes, widespread availability of jet-A fuel is most important, but also lower fuel burn. The Archer DX burns about 5.8 gph, 37 percent less than the TX. The DX can even run on EN590 diesel. “It starts to make a lot of sense,” he said. Of course, diesel aircraft engines are far more expensive than avgas engines, and this may explain why the market uptake of diesels has been so slow. The Archer DX base price is $359,000, while the Archer DX base price is $430,795. The Continental diesels are manufactured in St. Egidien, Germany. The four-cylinder, liquid-cooled CD-155 is turbocharged and features direct fuel injection, and it is digitally controlled by a two-channel full-authority digital engine control (Fadec). Compression ratio is a massive 18:1, reflecting the nature of diesel engines, which have no spark plugs but rather use compression to heat up the air in the cylinders and thus cause fuel to heat up and combust. A gearbox reduces rpm at the propeller to 2,300 for takeoff. Diesel engines, built tough to handle much higher cylinder compression compared to gasoline engines, are hard-working. Earlier aero-diesels had fairly low lifetimes, but Continental has been able to increase the time between removal of the CD-155 to 2,100 hours. At that point, the engine must be replaced. There are interim maintenance requirements and many items with life limits. These include the gearbox clutch and high-pressure pump every 300 hours, the alternators every 600 hours, friction disk every 900 hours, v-ribbed belt every 1,200 hours, alternator excitation battery every 12 months, and all fuel, oil, and cooling lines every 60 months. The propeller is limited to 2,400 hours or 72 months, and the governor and accumulators to 2,000 hours or 72 months. Such maintenance requirements are more typical for larger aircraft, but forcing operators to keep up with maintenance schedules with mandatory inspections and component replacements will help make operation of the Archer DX safer. The replacement time for the DX engine is mandatory, for example, while the time between overhaul for a Lycoming engine is a recommendation. According to Piper, operating costs of the Archer DX are 30 to 40 percent lower than the gasoline-powered models. With Fadec, there is no mechanical connection between the throttle and the engine. The Fadec has two channels and runs on one, with the other as backup. Electrical power is essential to keep the Fadec running, and it is equipped with a backup battery that runs up to two hours after alternator failure. A welcome change in the Archer DX is a beautifully designed, much more solid-looking fuel selector handle made of machined aluminum nestled in a raised carbon-fiber housing. The new fuel selector valve routes excess fuel back to whichever wing tank is selected. This return fuel is warmed during its trip through the fuel system, and the fuel selector thus feels warm during operation. This also helps warm the fuel in the wing. The DX is equipped with the Garmin G1000 NXi avionics suite, although the one that I flew—purchased as a trainer for Nepal’s air force—didn’t have the NXi upgrade as it was contracted before that became available. Despite the engine’s complexity—far more complicated than the Archer TX’s carbureted Lycoming O-360-A4M—I found the diesel engine simple to operate and it seemed to be more forgiving than the Lycoming, with none of the concerns about carburetor icing or difficulties starting that come with piston avgas engines. Piper chief pilot Bart Jones helped introduce me to the DX and rode right seat during our flight. The Archer DX’s engine is rated at 155 hp, compared to the 180 hp Lycoming in the TX. But the diesel engine is capable of delivering full power from the ground to over 10,000 feet, even at high density altitudes. The naturally aspirated Lycoming delivers less power as soon as density altitude climbs, and at higher altitudes it simply runs out of power. The Fadec does its own self-testing, and the engine starts instantly and settles into a smooth rumble. Except for the different engine instrumentation on the Garmin MFD—coolant and gearbox temps are new—the Archer DX is pure Piper Archer and flies exactly the same. Piper didn’t change the performance handbook for the DX, and the model performs at least as well as the TX, so new charts aren’t necessary, according to Jones. The advantage of the DX shows up in the climb because I could use up to 100 percent power, although it is necessary to watch the gearbox temperature when climbing at slow airspeeds. Jones likes to climb at 85 percent power and faster than the typical Archer best rate of climb speed of 76 knots. The engine ran smoothly as we climbed to 10,500 feet at about 700 fpm initially then about 500 fpm at a cruise climb of 86 knots. Once at altitude, I leveled off to check performance. At 70 percent power, fuel flow was 5.7 gph and true airspeed 109 knots. (This Archer doesn’t come with wheel pants.) At 75 percent power, fuel flow increased to 6.3 gph and speed to 117 kias. I pulled the power back to 50 percent, and fuel flow dropped to 4.2 gph and speed to 100 kias. We had taken off with 34 gallons of fuel, 14 less than full, and we could have flown at 50 percent power as far as Galveston, Texas, or even Jamaica. The rough equivalent amount of fuel for diesel operations to a full tank of avgas in the gasoline-powered Archer is 30 gallons. In other words, the Archer DX will fly the same distance on 30 gallons as an Archer TX with 48 gallons. After some stalls and trying out slamming the throttle forward and back (there are no restrictions on this), I descended to shoot some touch-and-goes at Okeechobee County Airport. There is no need to worry about cold-soaking the liquid-cooled CD-155 by pulling the power back for a rapid descent (not that this is an issue with the O-360). In the traffic pattern, the engine acted, well, normal. In fact, I hardly even thought about it, other than pulling or pushing the throttle for the power setting I needed. The engine responded quickly to power inputs. I did notice that with a diesel, there are redundant steps in the GUMPS check on final approach (no mixture, no prop). What I like about the diesel engine is that it eliminates the need to operate two other controls—propeller and mixture—and thus makes flying much simpler. This is a huge advantage for flight schools that train future jet airline pilots because they do not need to learn throttle-prop-mixture then unlearn that when transitioning to a jet. The smoothness of the diesel engine truly made me feel like I was flying an airplane with a responsive, efficient powerplant in front, and it didn’t really matter to me what was under the cowl. I will be surprised if, even at the higher cost, large flight academies don’t adopt airplanes such as the diesel Archer.